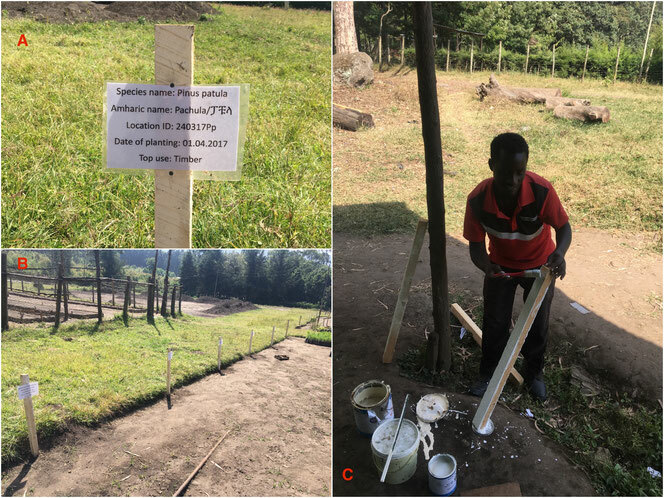 Joshua Twardawa, studying the Msc.-program at Hamburg university was working at the Wondo Genet College for Forestry & Natural Resources close to the city of Hawassa from October to December 2017. 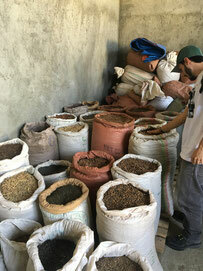 The main intention of the initiated work was to improve the situation of seed availability, storage and quality. Visiting traders in the area of Hawassa and Sodo and checking on proper storage and seed handling will ensure the quality of the seedling and should smooth out flaws before the planting process can further proceed. Marking the mothertrees of the college area helps to contribute to visual alertness and underlines the importance of the particular individual trees. 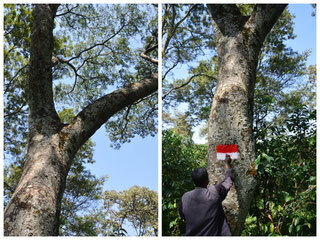 Displays the location of some 100 recorded and marked mothertrees next to the Wondo Genet College site. 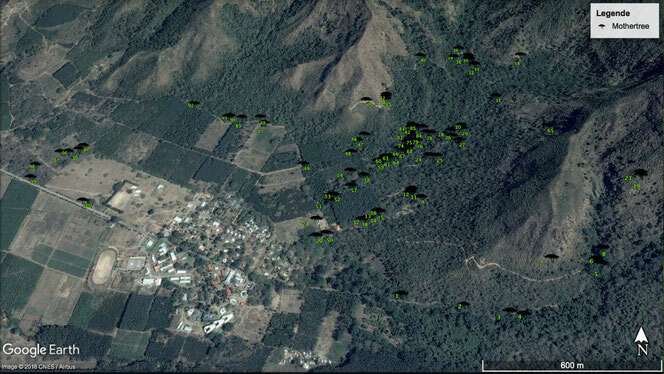 The GPS data helps to track the trees back and use their valuable seed resources for the Wondo Genet College tree nursery. Designing new labeling with trackable seed-origin-codes helps to structure nursery sites and keeps information “from seed to tree” in the cycle of a trees life. 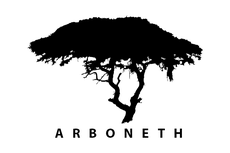 This work aimed to provide research suggestions not only for the upcoming ARBONETH tasks, but for everyone concerned. The example of Wondo Genet's tree nursery shows that their work has great potential in the region, and in all of Ethiopia. Together with many initiatives these may help to contribute to the countries reforestation program, the encouragements of nursery foundations and the development of wealth for the people in general.